Charlotte’s Genius Magic Powder is the smartest setting powder you’ll ever use! The light-diffusing loose powder formula wraps skin in an invisible veil of radiance, blurring imperfections and reducing the appearance of dark shadows. Formulated with moisture-balancing ingredients for a comfortable feel and matte (but not flat!) finish, Charlotte’s Genius Magic Powder sets and enhances your makeup for long-lasting, luminous wear. Apply on top of your foundation with Charlotte Tilbury Powder & Sculpt Brush or your favorite powder brush. Dust off any excess powder before sweeping across your T-zone. Apply under your eyes using Charlotte Tilbury Blender Brush to help brighten your under-eye area. Charlotte Tilbury is the saleswoman of the century. After watching any video with her I want everything she uses on the models faces. I've also suffered some of the biggest buyers remorse over her products: Magic Cream, Instant Look Palettes, Eyeshadow quads, Mini Miracle Eye Wand, Lip Cheats. It's not that she produces inferior products. She just hypes them up to a point that many of them just don't live up to the promises, or the price points. The Genius Magic Powder (fair shade) has been added to my growing list of underwhelmed CT products. It definitely has a silky fine consistency, but that's where I run out of good things to say. I thought the pinkness of the color in Fair would lend a brightness to my skin. It did not. 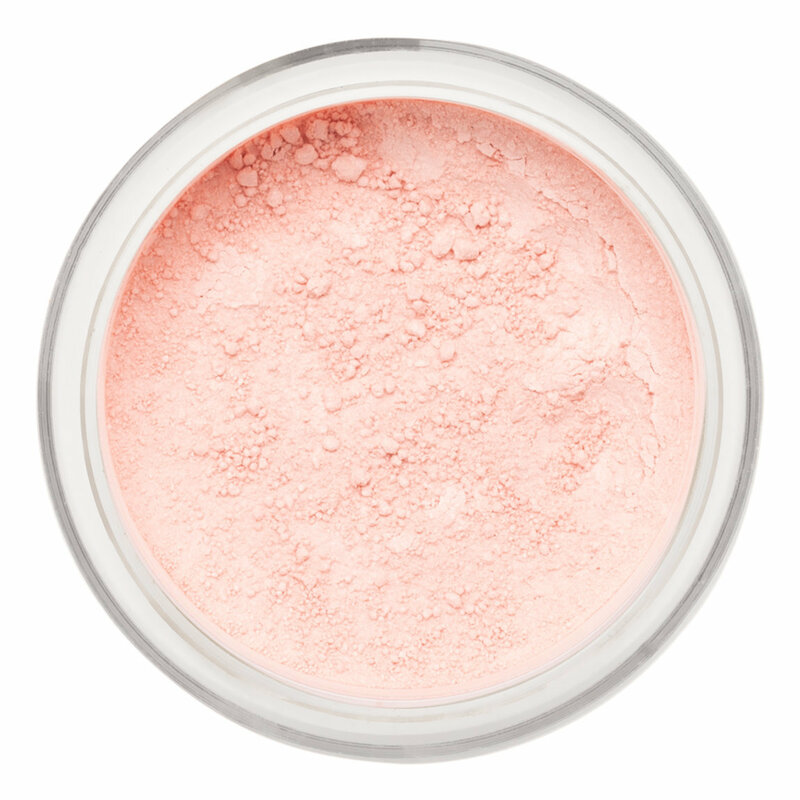 If you saturate your finger in the powder and rub it into the skin you will see a slight glow, but merely dusting this onto the face produces zero glow and the finish falls extremely flat. A thick application to try and get the glow produces an unwanted powdery chalk like result and you can tell you have powder on your face. The pore blurring is just not up to par with other powders on the market now, and the promised radiance just never happened until I added the glow portion of my Filmstar bronze and glow. The bitter icing on this cake was that the product made my skin feel like it was pulling tight. It was uncomfortable for me to wear it. I never have that issue with any powder I've used in the last 20 years. It does do a good job of controlling oil, but this one small benefit did not outweigh the other cons. It also smells bad-like earthy clay but worse. I adore Charlotte. She just has a way about her that makes you want to be buds. But I have to remind myself her sales techniques, though advanced, (she knows the buttons to push) and the names that feed into our self conscious like GENIUS MAGIC powder creating instant need are all in place to sell her products. Will I continue to purchase her stuff. Absolutely! She is what is missing from the shopping experience that has turned so boring and terrible over the last 10 years in the retail world. But I'm no longer keeping things that don't hold up to her promises. This one is going back to Beautylish. This is a great powder, but has been a hit-or-miss for a lot of people. IMO, i love it except for the smell; it does smell like crayons. I have combination oily/normal skin and this powder smooths and blurs my pores (over a primer of course) but what i love is that it doesn't cake up like a lot of loose or pressed powders do if you wear them over primer but no concealer or foundation (RCMA and CoverFX seem to do this to me), i love this powder. first - the reason I gave this powder 4 rather than 5 stars : It has an odor that is not fragrance and that is not exactly pleasant. Because it looks amazing on the skin and I can apply it the way I used to apply my powder- generously. If you have the kind of skin (young, not dry at all) that enables you to throw any old powder on your face without thought, you might not appreciate this powder as much as I do. I don’t have that kind of skin. In recent years, as I have aged ,I have had to be extra careful with how I apply my setting powder(damp beauty blender, only the smallest amount) and always had to follow up with a spritzing spray or skip it all together- otherwise I would look like someone hit me in the face with a powder puff and then sucked all the moisture out of my skin - not a flattering look. But this powder is different. I can apply this powder with my giant powder brush- liberally, buff it in and do all the stuff I used to do with my powder, and my skin just looks great. Spritzing at the end is optional. The color also works great with my foundations. I’ve used many different setting powers but this is with out a doubt my favorite one! It bakes and covers like no other and it has a brighter effect I just adore. This is a very finely milled powder, however, it has a very unusual smell that does linger for a while after applying. Found it was just a powder, didn't do anything special. Disappointed given so many of Charlotte Tilbury's products are my holy grails. Ok. So I just tried this. My sister boght it. Its beautiful. Absolutely beautiful. The smell is so bad I cannot use it again. It gave me an immediate headache. No one smelled this before shipping? Honestly. I was on here looking to see if it was just me. Nope. I literally washed my face because I could smell it 10 minutes after applying. Had to start my make up all over. Ps. If you do not have a sence of smell. It's perfect. Beautiful. Outstanding. My face looked flawless for the Ten minutes I could stand it. I do not see the beauty in this powder. I feel like it looks chalky and seems to make my pores look bigger. It does control oil (for a bit) which is the reason for the three stars. But what’s up with the smell?! It is horrible! I can’t quite put my finger on it whether it smells like chemicals or it’s an ingredient that just went bad in the recipe? The coverage and wear on this is amazing, esp in Texas heat. My only complaint is the smell...tell me it isn’t just mine, but it stinks like an old lady! Hate smell, love the wear! This product smells so bad, it has a really strange smell. i don't know how to explain it. i feel so disappoint for the products. Charlotte's powder is stunning, i am beyond happy with this purchase..I love the coverage and how perfect it set's.. This is my new favorite setting powder.